The Institute of Laboratory Animals (ILA) was established in May 1972 as a joint research facility for animal experiments carried out in the School of Medicine (now the Graduate School of Medicine and Faculty of Medicine). As well as conducting animal experiments for the purposes of medical science, ILA manages breeding programs to produce laboratory animals. Furthermore, the Institute is engaged in the development of laboratory animals, and conducts education programs and research in this area. It is hoped that the ILA will be widely utilized and that the research results obtained through animal experiments will contribute to advancements in biomedical science as well as to the development and improvement of methods of disease prevention and treatment. The ILA has also been the core facility for the National BioResource Project for the Rat in Japan since fiscal 2002. The Congenital Anomaly Research Center was established in April 1975 for the purpose of conducting research into human prenatal medicine and the prevention of congenital anomalies (birth defects). 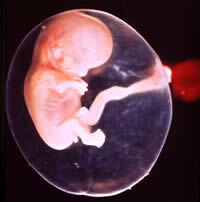 Since 1961, 44,000 specimens of human embryos and fetuses have been collected and preserved, and records maintained. Of these, around 1,000 undamaged embryos that are up to the 8th week following fertilization, which corresponds to the organogenesis stage, have been preserved as whole-body serial specimens. With 474 particularly high quality examples of such embryos being included in international human embryo registers, the Center ranks second only to the Carnegie Collection in the U.S., which has 617 specimens of similar quality. The Congenital Anomaly Research Center has the largest and highest quality collection of human embryos in the world, and is available for use by researchers in related fields both in Japan and overseas. The Center is currently conducting research into the early stages of abnormal morphogenesis, using genetic epidemiology methods to elucidate the etiology of various types of birth defects. In addition, experimental research is being conducted on the genesis mechanism for birth defects in order to identify some preventive measures. The Center is one of the leading centers of human embryology and congenital anomaly research in the world. From September 2005 to August 2008, the Center will implement the Project for Establishing a Database of 3D Human Embryo Images, selected as part of the Japan Science and Technology Agency bioinformatics promotion scheme. Using the specimens preserved at the Center, this project will create a database of MR images of fetuses in each stage of development, from the organogenesis stage until birth. In addition, the project will take MR tomographic images and serial section images to produce three-dimensional images of the formation of fetuses in each stage of development as well as of the main organs, and create a database of these images. The Center for Anatomical Studies was set up in 1982 to provide a modern and integrated facility for a range of activities concerned with human body dissection. The creation of the Center meant that lectures on morphology, practical training, routine dissection work, and research, which had previously been conducted in the anatomy, pathology, and legal medicine buildings, could now be performed in a single location. The Center is the leading establishment of its kind in the country, comprising modern dissecting rooms, dissection practice facilities, specimen depository, medical data room, laboratories, and specimen preparation rooms. A lecture hall, histology practical training room, and audiovisual study room are located in the west wing. 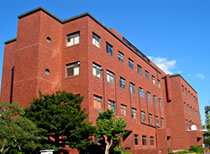 In 1998, the audiovisual study room on the fourth floor of the west wing was renovated, and a Faculty of Medicine satellite seminar room was constructed as an annex to the Academic Center for Computing and Media Studies, Kyoto University. Since 2003, the Center has been providing support to researchers and graduate students in the Graduate School of Medicine for morphology research activities such as immunostaining. The several thousand macroscopic specimens collected by the Center during the course of more than a century are on a scale unparalleled in the world. This, combined with its modern facilities and equipment, make the Center unique among universities. The Human Brain Research Center (HBRC) was established in April 2000 to further develop the world-class research into brain science being carried out in Kyoto University in a comprehensive way. Specifically, this meant integrating psychological, neurophysiological, and brain function imaging research; creating a center for non-invasive research into higher brain function; improving the overall efficiency of research; and making it possible to actively promote the sharing of the research facility both by those affiliated to the university as well as researchers from the wider community. 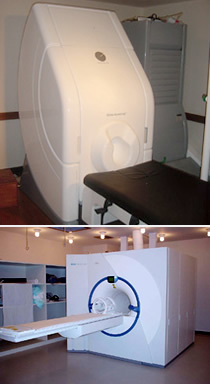 Currently, the activities of the HBRC go beyond the confines of neurophysiology and brain function imaging to encompass research into the normal brain as well as various kinds of neurological disorder, incorporating non-invasive research techniques. By carrying out research on human subjects to elucidate the functions of the human brain and investigate the pathophysiology of the various disorders that occur in the human brain, the HBRC aims to obtain data that will be valuable in curing disease. Sentences are being made now. Topics concerning medical education have currently become important issues for our community. The traditional style of medical education has mainly been carried out through the efforts of individual departments of a medical school. Nowadays, however, it is impossible to provide an appropriate medical education without coordination of the efforts of individual sections. Therefore, the Center for Medical Education has been established at Kyoto University to play a central role in the promotion of modern medical education. Takai Research Center Takai Research Center (TRC) was established in March 2008 through the donation by Yasuharu Takai (President and CEO of Fujitaka Corporation) for development of education and research environment and promotion of research and development based on collaboration between industry and academia. It is located in a corner of the new building that connects the existing School of Human Health Science building and the annex (presently the teaching staff ward). It is comprised of Takai Corner, which promotes research and development based on collaboration between industry and academia, Takai Hall, a lecture facility, and two laboratories that can be used for wet experiments. Takai Corner located right next to the entrance hall on the 1st floor is open at all times. Journals about the research conducted at the laboratories are available for reading there. It can also be used for meetings with the staff of companies or other external research institutes in joint research as well as for simple social gathering. Takai Hall, which is located next to Takai Corner, has the capacity of up to 50 people for school-style lectures. With equipment, such as AV devices and tables, it is used for study meetings with external research institutes in joint research, as well as for various events of the department. The two laboratories on the 3rd and 4th floors (TRC Laboratory I and II) are used for industry-academia collaboration projects. The highly advanced medical research conducted at the Graduate School of Medicine, Kyoto University, such as the iPS-cell-based regenerative medical research and transplantation, is about to launch medical paradigm shift. On the other hand, in the present aging society with a declining birthrate, the collapse of the medical care system, and many other problems, the majority of patients depend on the community health care. However, the present-day community health care faces a mountain of issues, such as the lack of the nursing care service for elderly people living alone and elderly couples living on their own, an inadequacy in emergency treatment, and sharing of information between health care providers. Such issues have become issues of public concern along with the spread of the aging society with a declining birthrate. Under such circumstances, Sugiura Community Care Research Center was built and donated by Hirokazu Sugiura (chairman and executive director of Sugi Holdings Co., Ltd.) and Akiko Sugiura (executive vice president of Sugi Holdings Co., Ltd.), whose vision to contribute to the community by participating in community health care match the vision of the School of Human Health Science to form a healthy and culturally active community. This building (steel-framed two-storey building with the total floor space of approximately 500 square meters) is equipped with 1 open-air conference room, 2 conference rooms, 1 community health care laboratory, as well as Sugiura Hall with the latest audiovisual systems on the 2nd floor (and capacity of approximately 100 people). The building also provides a view of Mt. Daimonji from the front. In April 2009, the doctoral course “Integrated Unit for Near Future Human Health Sciences” opened. The course includes the “Near future system/technical creation” section for promoting research on home medical care systems. In the course of performing such research, Sugiura Community Care Research Center is expected to be used extensively by researchers and medical care providers as an educational and research facility. Through such research, the Center is expected to contribute to the advancement of community health care studies in Japan for people to live securely in an aging society with a declining birthrate.